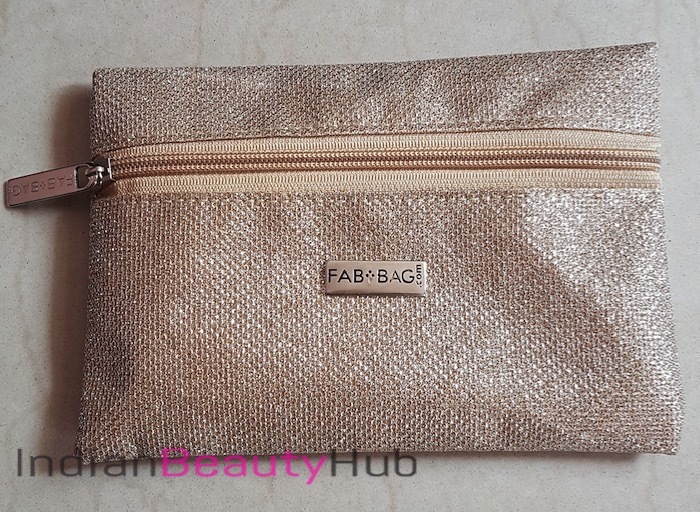 Hello everyone, today I am going to share the products I have received in my October Fab Bag. 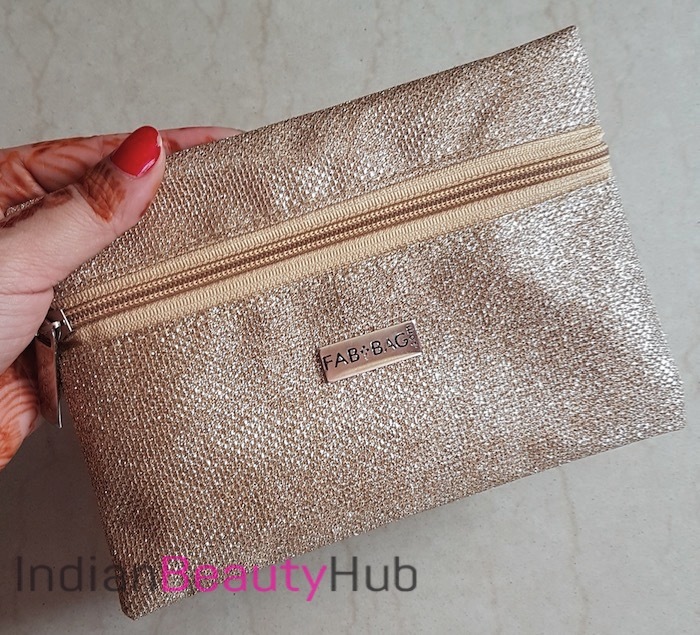 This month all the products came inside a shimmery golden pouch with front zipper. 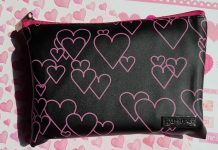 The bag contains 4 products from well known brands like SUGAR, Kronokare, Mond’sub and Natural Bath & Body. 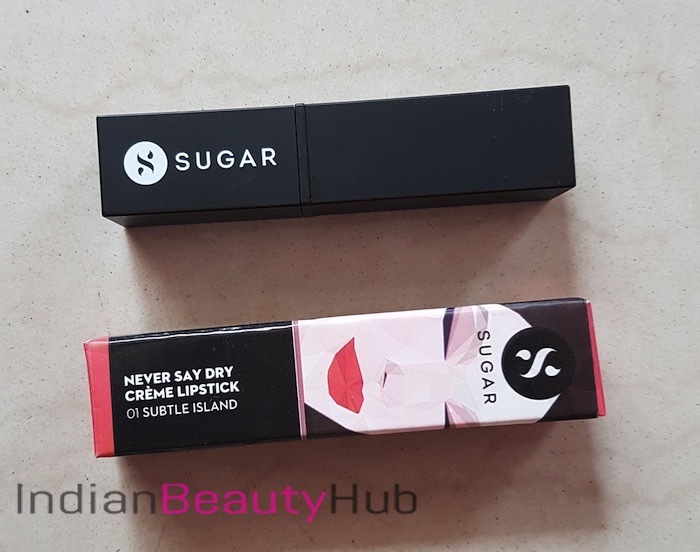 SUGAR Never Say Dry Creme Lipstick: It is self chosen product and I selected the shade 01 Subtle Island which is a beautiful neutral pink color. It glides smoothly and has a good pigmentation. 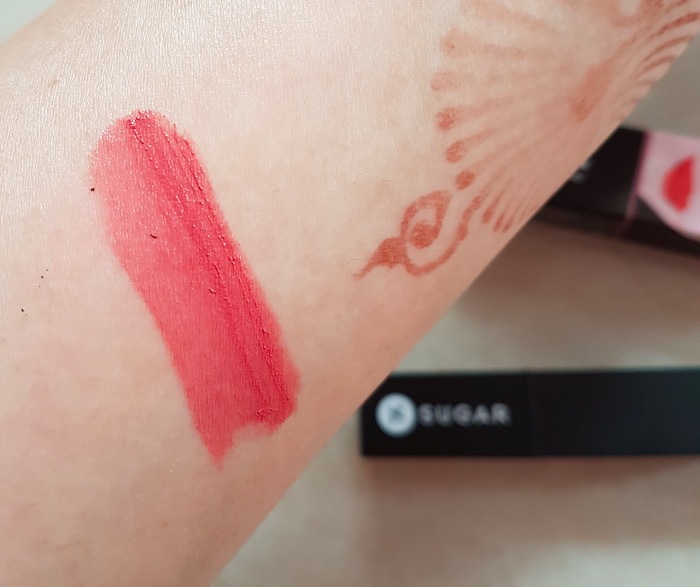 I absolutely loved this lipstick shade as it suits my skin tone really well. 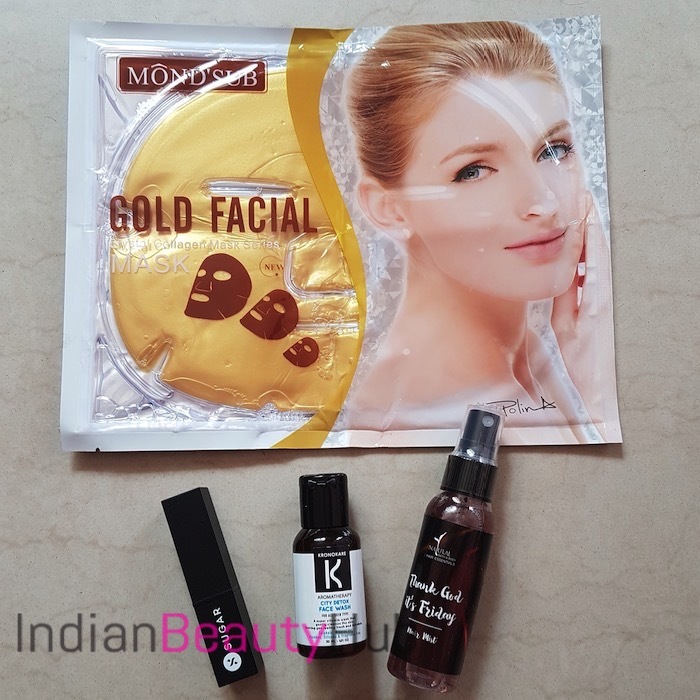 Price – Rs.499 for 3.5g. Kronokare City Detox Face Wash: Next is the 30ml deluxe sample bottle of this Parabens & Silicon free face cleanser. This gel based face wash comes with very refreshing fragrance. This bottle will easily last for up to 20 -25 usages. Price – Rs.150 for 30ml. 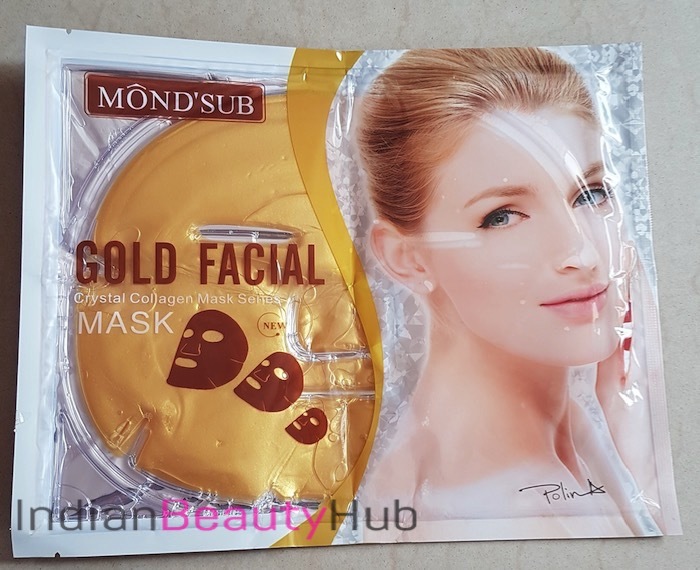 Mond’sub Gold Facial Mask: Mond’sub sheet mask are quite popular these days and the bag contains a full face gold facial mask (I received the different variant in my September Fab Bag too). I am excited to try it and will share my views about it very soon. Price – Rs.250 for 60g. Natural Bath & Body Thank God Its Friday! hair mist: The last product in the October Fab Bag is 150ml spray bottle of hair mist. It has a strong floral scent which I didn’t like. So I might give it to some family member or friend. 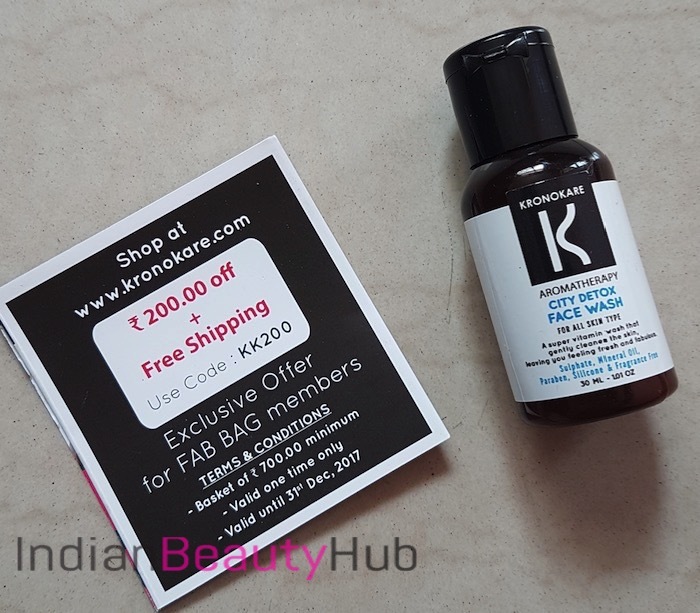 Price – Rs.525 for 100ml. Overall, October Fab Bag is a hit for me. I really liked all the products except the hair mist. 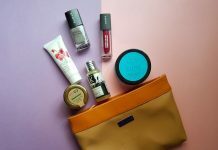 This month Fab Bag crew really did a great job in the selection of products. 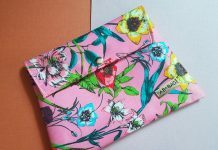 I will definitely recommend buying October Fab Bag. 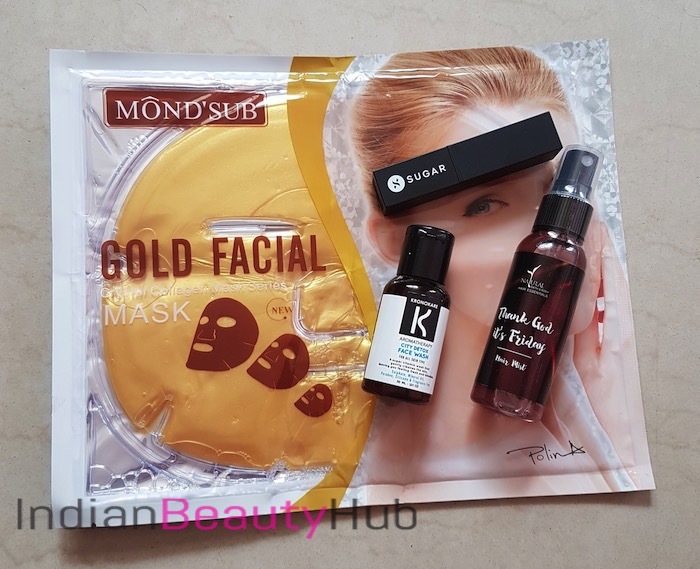 Nice review…the products r awesome indeed.